We continue our visit of Amsterdam at the Museumplein (Museum Square), the museum quarter of Amsterdam. In the background of this photo we can see the monumental Rijksmuseum, home of many Dutch golden age masterpieces by Rembrandt, Frans Hals, Vermeer and their contemporaries. Though the museum is famous for its golden age paintings, it has a lot more to offer. 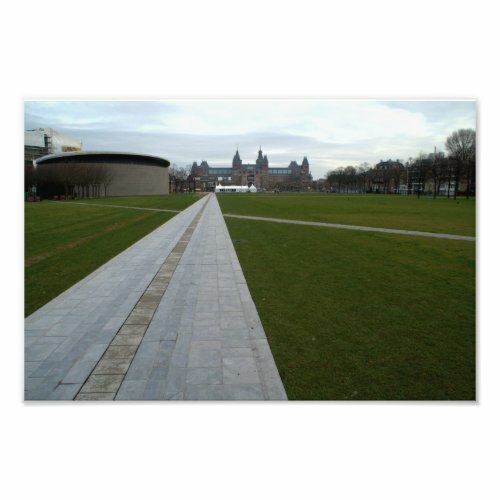 It is the main arts museum of the Netherlands. The round building on the left is a wing of the Van Gogh museum. Another important art museum with great paintings. The Stedelijk Museum, a modern arts museum, is also here but not visible on the photo.